Always questioning the status quo and searching for new, innovative tools to satisfy sleep, SAMINA recently developed, in collaboration with other scientists and researchers, a music pillow designed to promote sleep. Music resonates with all of us since sound was harnessed and created for auditory and enjoyment purposes. In fact, when most of us were babies and children, we were sung to sleep by our parents and guardians just as many of us still sing to the children in our lives. There is something soothing and therapeutic about music that touches our heart and soul, aside from relaxing us. Now the SAMINA Sound Life Sleep System is part of the Future of Sleeping. Sound Life is an innovative, auditory stimulation program providing people more opportunities to enjoy sleep. 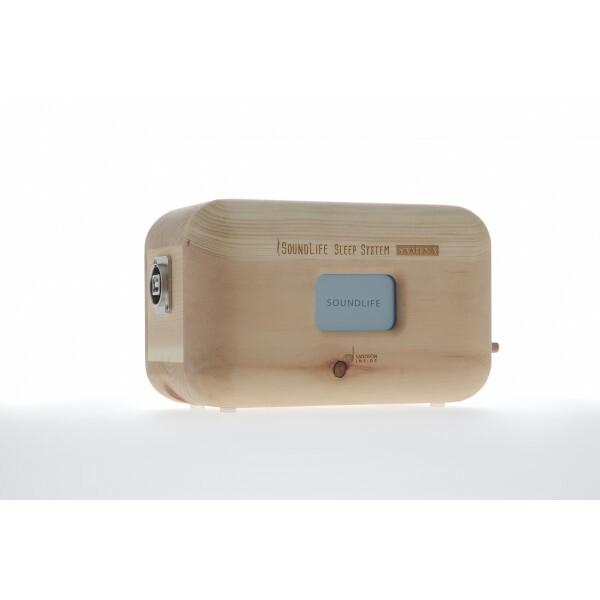 The music pillow is a media player, contained in a natural pine-box, connected to a sleeping and electro-biologically optimized sound cushion. The music pillow uses the healing powers of music to facilitate falling and staying asleep. Not only do you sleep better with Sound Life but it also promotes a quieter and deeper sleep. SAMINA uses the SANOSON music medicine to restore the synchronization of internal rhythms and the “heart-brain coherence.” The frequencies act on the alpha, theta, and delta region of the brain activity. This promotes the state of “heart-brain coherence” which is a very positive effect on the quality of sleep and healing processes. Sound Life makes the total sleep phase response optimized and the total sleep much more efficient. The brain activity, breathing, heartbeat, and blood pressure correspond harmoniously together with the music while you’re in a deep sleep. Music works wonders for your physical and mental health so it’s only natural that we would combine the SANOSON music method and the SAMINA Sleep System to give you Sound Life. A luxurious new way to fall asleep and stay in a restful sleeping state until the morning.